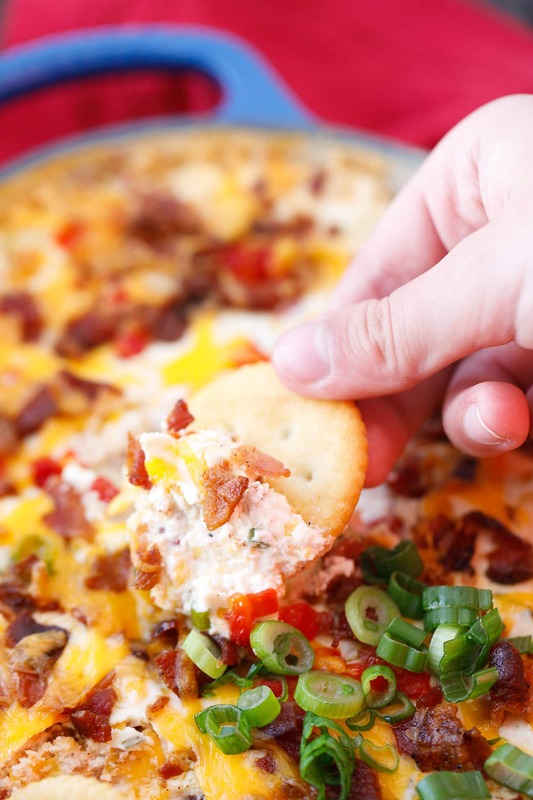 Our warm cheesy bacon dip is the perfect appetizer recipe for holiday parties, family gatherings, or even game day! 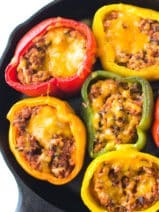 It’s loaded with delicious hickory smoked bacon and cheese, making every bite beyond scrumptious! Have you ever noticed that when you think about appetizer recipes, one word always magically pops into your mind? That word, of course, is BACON! 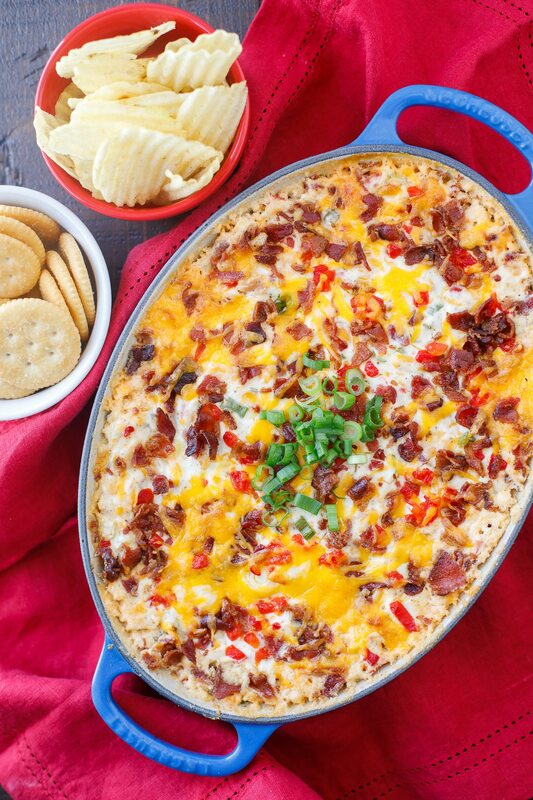 Bacon is definitely the star of my incredible warm cheesy bacon dip, but, be sure you choose the right bacon. 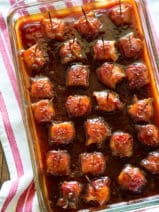 For this recipe, you can’t beat Sugardale Hickory Smoked Bacon. 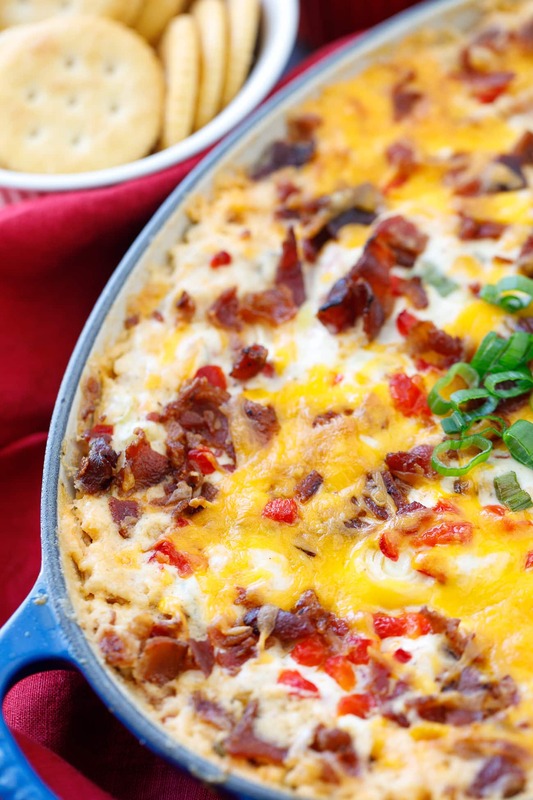 It’s perfect blend of smoke and sweetness really make this cheesy bacon dip special. 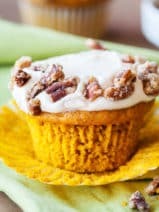 This post is sponsored by Sugardale and SheKnows Media. 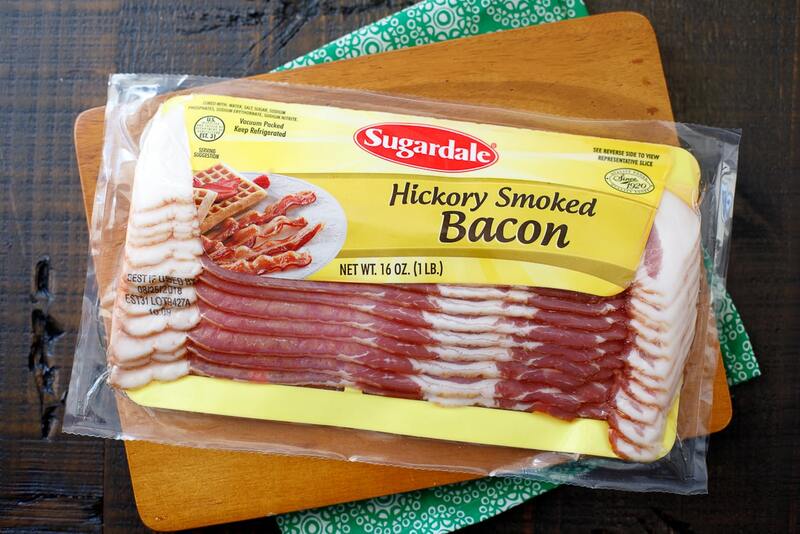 Sugardale makes a wide selection of delicious bacon products, but their Hickory Smoked Bacon is their most popular bacon variety. 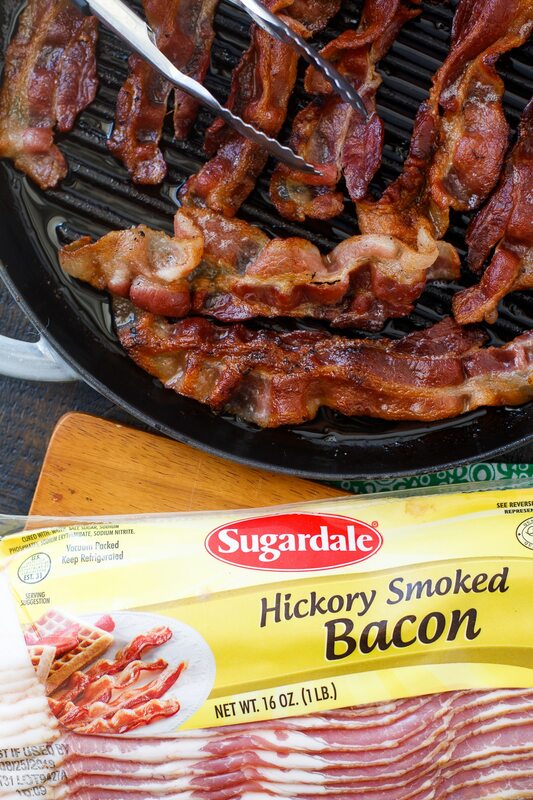 Sugardale Hickory Smoked Bacon uses Sugardale’s historic and secret blend of ingredients that has been carefully guarded for nearly 100 years. Let me just say that my hot cheesy bacon dip turns out so much tastier with this bacon. 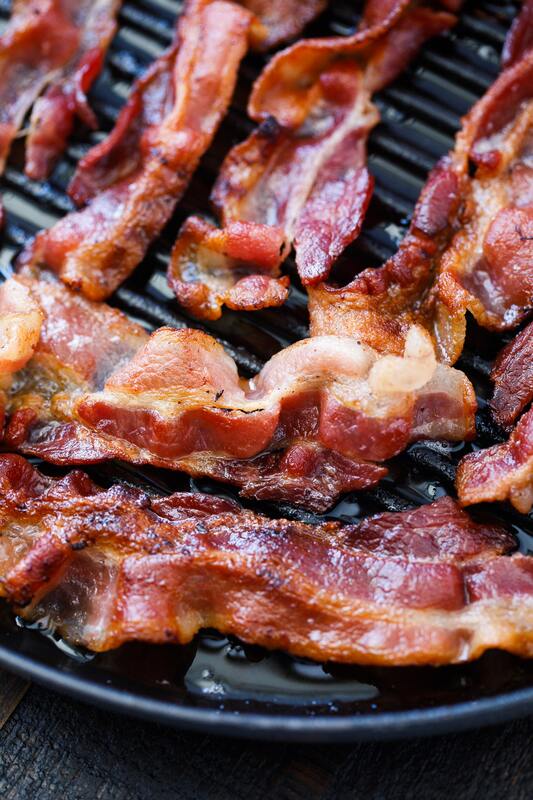 I am also in love with this bacon for family breakfasts, crumbled on fresh salads, or sandwiched within a big, juicy cheeseburger. In addition to bacon bringing the flavor, this dish is also loaded with some other delicious ingredients. Can I get three cheers for cream cheese, sour cream, and cheddar cheese? I also recently added diced pimentos to this dish as I think it brings some beautiful color. 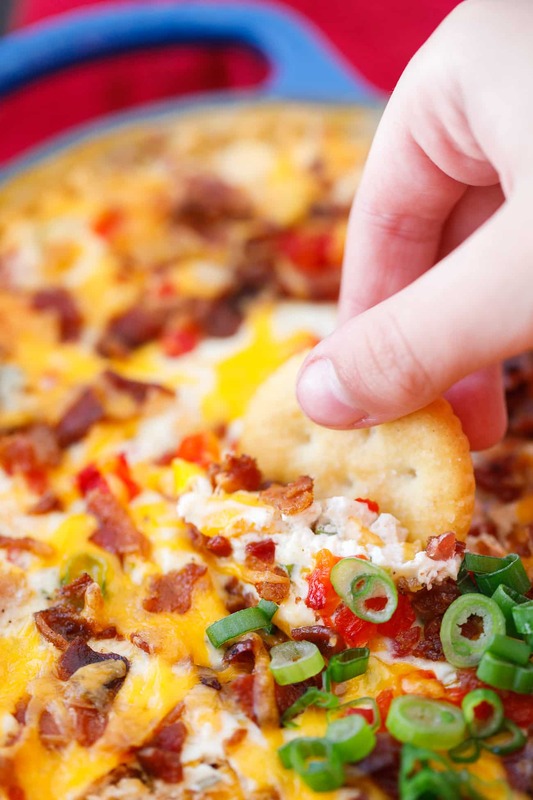 Also, don’t skip the 1/2 teaspoon of cayenne pepper in this warm cheesy bacon dip recipe! It’s just enough cayenne pepper to add a tiny kick of flavor, but it definitely doesn’t overpower the dish. In fact, I normally go pretty mild on anything spicy since my family doesn’t like overly spicy dishes, and no one has ever noted that this dip is too hot for their taste buds. As far as dipping goes, the sky is the limit. 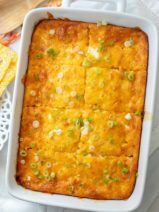 You can use fresh crisp vegetables, crackers, potato chips or even slices of bread to dip in this hot cheddar bacon dip. 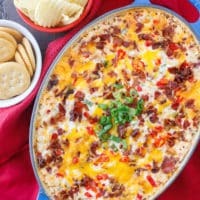 I’m actually getting a little hungry just thinking about this incredibly warm and cheesy bacon dip! 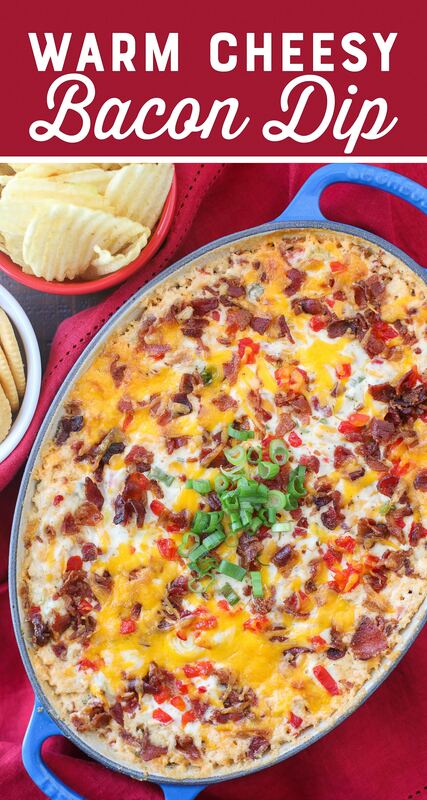 This warm cheesy bacon dip is full of flavor and perfect for parties or game day. Reserve 1/8 cup of the cheese and 1/8 cup of crumbled bacon for adding to the top of the dish before baking. 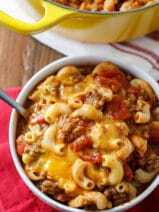 In a large bowl, combine all ingredients except the reserved bacon and cheese. Add the mixture to a 1 1/2 quart baking dish and top with remaining cheese and bacon. Heat uncovered in a 400-degree oven for 25-30 minutes or until hot. Serve warm with fresh vegetables, crackers, or chips to dip!